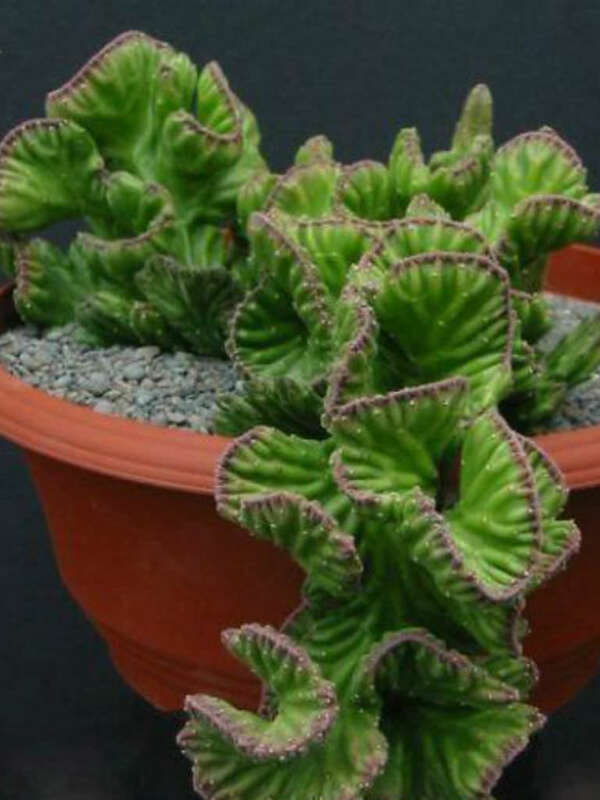 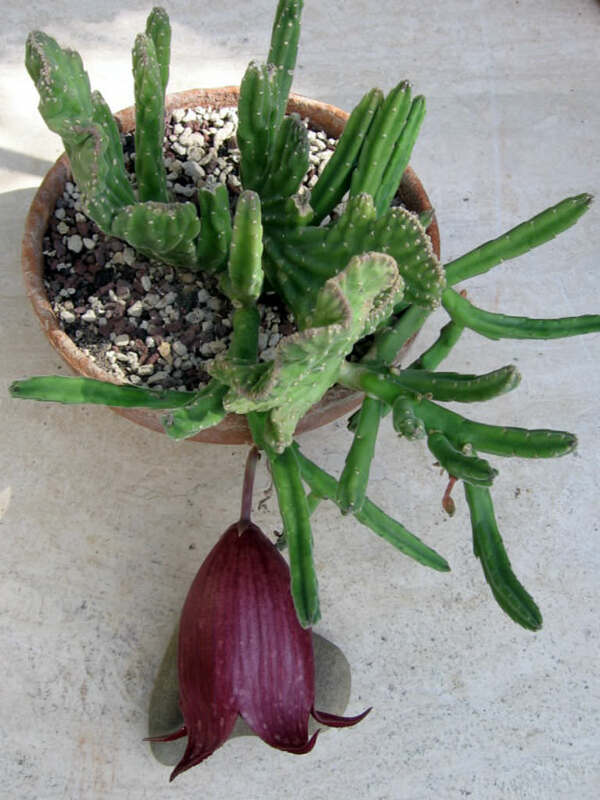 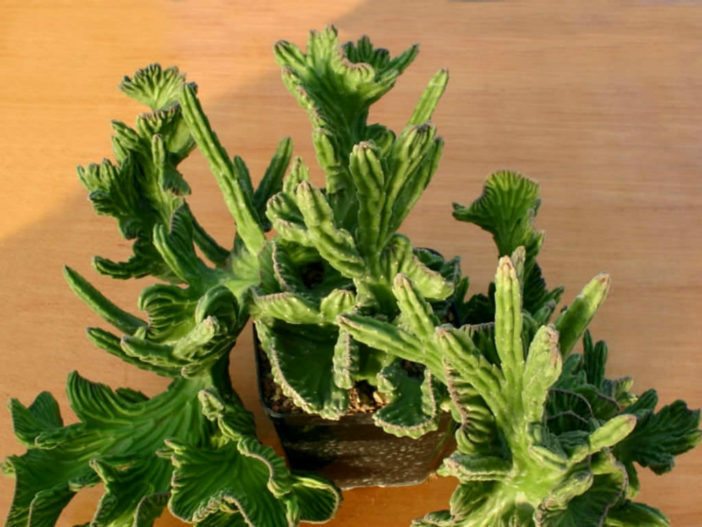 Stapelia leendertziae is a succulent plant with long, erect, angular stems and dull green to reddish in color. 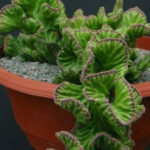 It is most conspicuous when in flower owing to the unique large, bell-shaped, deep reddish to dark purple flowers that are up to 5 inches (12.5 cm) long. 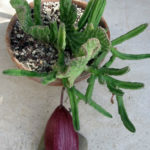 Stapelia leendertziae f. cristata readily forms a large, fascinating specimen with fan-shaped stems that hung down elegantly over the pot.